Please join NOAA’s Geophysical Fluid Dynamics Laboratory (GFDL) and Princeton University’s Atmospheric and Oceanic Sciences program as we honor the life ​and career of a departed colleague, Dr. Ants Leetmaa, former director of GFDL. 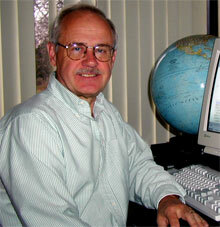 Dr. Leetmaa served as GFDL director (2001–2007), and director of NOAA’s National Weather Service Climate Prediction Center (1997–2001). His contributions to climate variability and predictability research and forecast applications substantially advanced how we understand and predict natural climate variability, and the role of oceans in the climate system. Hyatt Regency Princeton (at Carnegie Center). Cost is $40. Contact Anna Valerio at apval@princeton.edu by June 13 if you would like to attend the dinner. Free parking is available in Lot 21 on the Princeton campus. It is approximately a 6-minute walk from Lot 21 to Frick Lab.